For far too long, those who are naturally quiet, serious or sensitive have been overlooked. The loudest have taken over - even if they have nothing to say. It's time for everyone to listen. It's time to harness the power of introverts. This self-help style book explains the differences between extroverts and introverts. Personally, I'm very introverted which means I prefer my own company and can have trouble socialising (it drains me out easily!) I've struggled with this personality trait and hoped that this book would offer a deeper insight. This book did exactly that! I found the descriptions of how introverts feel and act to be very relateable to me and helpful. I feel like this may be because the author herself is rather introverted so she understands how it feels, which offers a real sense to the narration. I found this book so useful because of the clear examples and chapters. It covered ranges from relationships/communicating with someone of the opposite type of introversion/extroversion, how this personality trait is influenced by our biology/physiology or whether it's to do with our environment or parenting. This nature-nurture debate is just one of the many referred to here. For me, as someone who has studied and is highly interested in psychology, this was fascinating for me to read because multiple cases and studies have been included for evidence of the author's points, which I felt to expand my knowledge further. Along with these, examples from real life people were given and this really adds to the ingenuity of the book! However, this book is not only useful for me, as a strong introvert, but also for everyone! Extroverts are included just as equally as introverts so readers of both types will receive something from this. 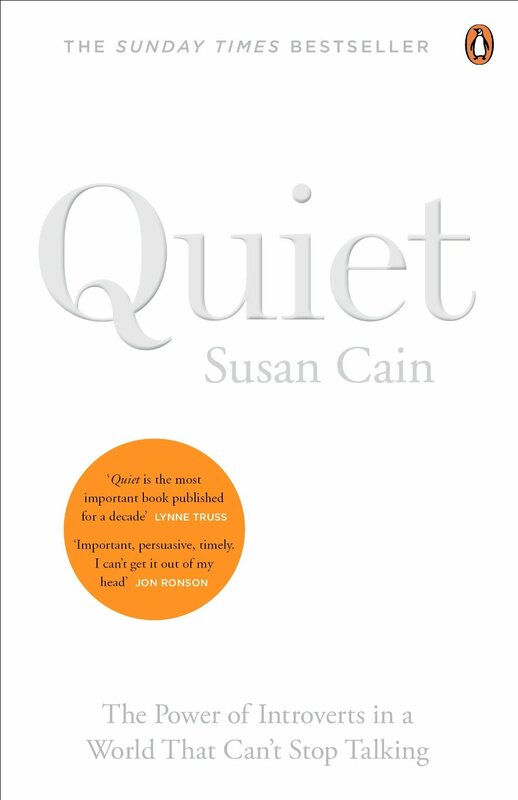 Also, most ages will benefit from reading this book, ranging from teenagers/adolescents who need advice with coming to terms with their personalities (there is another book aimed specifically for teenagers and young adults by Cain called Quiet Power, which has recently been released and something I hope to read!) up to parents who are unsure how to support their child fully or need help understanding their introverted/extroverted kid. Overall, any reader will learn something new or take something from reading this. It's an interesting read for all ages and highly emphasises the point that introverts, although overtaken in society by the louder extroverts, are equally important. I found this so useful and believe that introverts alike will too!